One of hip-hop's most accomplished producers, J Dilla helped define the sound of underground hip-hop. His signature blend of breezy soul music, jazz licks and hip-hop thump can be heard in the music of Kanye West, Madlib and the Roots. And while charting was never a priority, Dilla was as accessible as anything by the Neptunes, and he worked with such pop artists as Busta Rhymes and Janet Jackson. When Dilla passed in February 2006 due to liver failure, there was an instant and inescapable void in the hip-hop universe -- one that will not be easily filled. Dilla began his musical odyssey in the late '80s as part of the emerging Detroit hip-hop crew Slum Village. He was labeled a prodigy -- when the group formed in 1988, Dilla was only 15. Dilla first reached national attention in the mid-'90s while producing for Tribe Called Quest and De La Soul. Though Trife and Q-Tip's chemistry together had long since waned, Dilla's production on The Love Movement at least made the CD listenable. 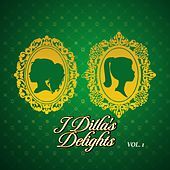 Subtle counter melodies and light, shuffling breaks were the order of the day, and tracks such as "Find My Way" and "4Moms" found Dilla in increasingly pastoral form. It provided a proper sendoff for one of hip-hop's most celebrated groups and set the stage for the neo-soul movement that would later help redefine urban music. 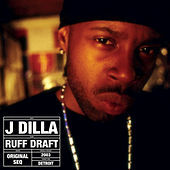 Dilla produced for many key artists in the neo-soul genre. His work on D'Angelo's Voodoo was quintessential, while the tracks that he completed for Erykah Badu (including "Cleva" and "Didn't Cha Know") were equally compelling. But Dilla was too restless a musician to be confined to one sound. As he was turning out tracks for the headwrap soul set, he was also helping to guide the careers of hip-hop superstars Common and Busta Rhymes and overseeing the commercial emergence of his old Detroit crew, Slum Village. SV's 2000 single "Rise Up," from the Fantastic, Vol. 2 album, was featured extensively on MTV and was vintage Jay Dee: sample-based with slight electro embellishments and awkward, non-quantized drum programming that would be dubbed by the Roots' ?uestlove as Dilla's "drunken style." It was during this time that Dilla would experience his greatest commercial successes. Q-Tip's "Vivrant Thing," from his solo debut Amplified , was that rapper's biggest single to date, and Dilla's work on Busta Rhymes' The Genesis and Common's Like Water for Chocolate was equally popular. Suddenly, Dilla was a top-tier producer, a status that was cemented when Janet Jackson contracted him in 2000. Dilla never felt comfortable in the role, and he soon departed from Slum Village (rumor has it that that the group wanted to take a more commercial approach) and began to focus on producing for lesser-known Detroit acts. His production during this period was grittier. While his signature off-tempo drums were still in place, the delicate soul samples that dominated his earlier work were supplanted by a thornier electro edge. In 2003, Dilla linked up with California producer Madlib. Madlib's work was obviously influenced by Dilla, though it was abstract and tangential where Dilla's was focused and concise. Their 2003 collaborative LP, Jaylib's Champion Sound, was an underground hip-hop classic. Dilla was so smitten with Madlib and his Stones Throw label that he relocated to L.A. and signed to Stones Throw. It would be here that Dilla released Donuts, his last album. The record found Dilla flipping classic soul samples and was widely heralded as his best work in years. It was a fitting bookend to one of hip-hop's most illustrious careers.